The question whether the world is more hypocritical than it used to be often forces itself upon the attention of those who observe the feelings of the present day. Philanthropists call upon Parliament for powers to interfere with the amusements of their neighbours, religious newspapers become a bye-word for slander and libel, and men who appear in some points of view models of Christian zeal and charity seem to be altogether dead to the obligation of truth. Upon the other hand, a specially humane and Christian schoolmaster, whose life had, by his own account, been passed in devising a system of school-keeping upon physiological principles, not long ago (See the case of R. v. Hopley, tried at the Lewes summer assizes in 1860.) beat a boy to death, because, having water on the brain, he was perverse and stupid about saying his lessons; and having, for this specimen of practical physiological science, been sentenced to four years' penal servitude, he issued from "his narrow cell" a pamphlet which might be considered the ultimate perfection of cant. The pamphlet affords a text for a curious inquiry. The plain common-sense criticism upon it is simply that it is the work of a hypocrite and a liar, and the common-sense criticism is both just and true. But lying and hypocrisy are seldom, if ever, simple phenomena. Probably no man sets himself consciously to pretend to be something which he is not. No one says to himself, "I am a cruel brute; but I observe that people are in various ways well paid for being humane and affectionate, therefore I will pretend to be humane and affectionate." There are so many departments of life for which cruelty and brutality are not disqualifications, and the effort of always pretending to non-existent feelings must be so wearisome, that, if a man really did arrive at so clear an opinion as to his own character, the probability is that he would rather seek means to indulge than to conceal it. We have all, in fact, sufficient self-respect to deceive ourselves more or less before we begin deceiving others, and falsehood and hypocrisy will generally be found to originate in harbouring in the mind incongruous feelings which, when indulged, produce results diametrically opposed to each other. Men, however, are so constituted that almost every one is actuated more or less by emotions which tend to produce contradictory and inconsistent results. A person who takes great interest in the affairs of others will be pleased so long as his neighbours act as he could wish, and will be angry when they act otherwise. In the first state of feeling, he may appear a zealous philanthropist; in the other, an intolerant bigot and persecutor, or, under special circumstances, a butcher and torturer. When the acts done in the second state of feeling are compared with the language used in the first, people will call the man a hypocrite, and they will be right in doing so; for, though there may have been a subjective connection between the soft words and the murderous blows, and though each may have been the genuine expression of the man's feeling for the time being, the rest of the world are not bound to speculate on such uncertainties. People are perfectly right in acting upon the principle that, if a man cares to be thought honest, there must not only be a connection between his words and his acts satisfactory to his own mind, but also a consistency between them which can be maintained upon grounds generally admitted by others. Thus it would be perfectly fair to call a man a hypocrite who, in the present day, was full of affectionate phrases about his fellow-creatures, and yet longed to put to a cruel death those who differed from him upon theological points; but there may have been times when such a man would no more have been a hypocrite than a judge or a surgeon in the present day who inflicts tremendous suffering in a spirit of perfect benevolence. Hardly any one can have failed to observe that this sort of semi-conscious hypocrisy is common in the present age—that bad conduct and high professions of principle, seen by every one else to be utterly inconsistent, but appearing to those who exemplify them perfectly homogeneous, are to be met with in all directions. How did this state of things come to exist? Some of its causes are to be found in the circumstances of our times, and especially in the minute classification which is all but universal amongst us, and which is nowhere so powerful as amongst the classes which make the greatest claims to religion and charity. The religious and the philanthropic worlds stand almost entirely apart from the world which makes no special claims to religion or philanthropy. Each considers that it possesses the secret of life, and that ordinary men are in a state of dense ignorance as to their true interests. 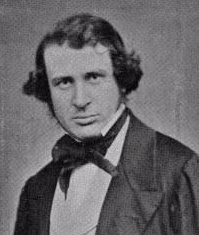 If any one will read what is written on the subject of education, not only by mere quacks, but by men of really active benevolence, and in many respects of good judgment, he can hardly fail to be struck by the tone of contemptuous Pharisaical cruelty by which a great deal of it is pervaded. It constantly proceeds upon the assumption that children are, as it were, the young of the poor, who are to be rescued from their parents by the clergyman and the schoolmaster for the purpose of being brought up in decent principles, whilst the parents themselves are left to go their way to destruction. There is nothing which a thorough-bred philanthropist finds it so difficult to admit as the possibility that any one can know his own business better than he does, or can care more for its proper transaction. Powerful as is the influence of this cause in producing hypocrisy, it is associated with another which lies somewhat deeper, and of which the operation may be traced in almost every department of thought and literature. This is the tendency of the present age to give to sensibility, as compared with morality, a degree of importance to which it is by no means entitled. The general nature of the opposition which exists between the two is obvious enough. Morality always tends, and infallibly must tend, to embody itself in a system of fixed rules, which invariably imply that all persons, irrespectively of differences of position, character, and the like, are inexorably bound by them. In fact, morality is, on a large indefinite scale, exactly what law is upon a comparatively narrow one. Every system of morals claims obedience from all, and confers rights upon all. In fact, morality, duty, and positive rights are correlative terms, and cannot exist without each other. Morality, moreover, is rather negative than positive. It always speaks to forbid: "Thou shalt not kill," "Thou shalt not steal," "Thou shalt not covet." It rests upon and implies some active power, in virtue of which men will be inclined to those actions which, but for its intervention, would be qualified as murder, theft, or covetousness. Sensibility is the opposite of morality, in its most essential particulars. It manifests itself in the form of passion. Love, hatred, active piety, philanthropy, misanthropy, charity, cruelty, and all other feelings, are forms of sensibility. Whatever may be the special form which it assumes, it is distinguished from morality by the fact that it imposes no duties, and confers no rights, and always impels instead of forbidding. Affection, either for individuals or for classes of men, is perhaps the most universal form of sensibility. That it is an active principle is self-evident. It always impels and never restrains, but is itself restrained by law or by morals. For this reason, it cannot be said to impose duties. Duties are imposed upon it. Love, for example, does not create the duties of marriage. It is an impulse and affection which cannot properly be said to tend to anything but its own satisfaction. Experience and reflection have induced people, for the sake of the good of mankind, to surround it with the conditions and restrictions attached to marriage, and it is from these conditions and restrictions that the duties of married life arise. In the same way, love confers no rights. A right is the correlative of a duty. It is a power to obtain or to do something, which power is recognized, and, if necessary, protected by some exterior law. Thus it is the exterior law, or morality, which confers rights, and not sensibility. Sensibility and morality are thus complementary to each other, like the river and the dam, or the steam and the locomotive engine. For several reasons, sensibility has, for many years past, got very much the upper hand of morality. Law, whether it takes the shape of legal or of moral rules, is always harsh and austere, and is therefore instinctively disliked by a lively, pathetic generation, intensely alive to its own joys and sorrows. Moreover, both law and morals have to be continually re-written to meet the various circumstances of mankind. As new relations arise and new sentiments prevail, it is necessary to remodel the old rules, just as the dams and embankments of a river must be altered as the water shifts its course. Till this is done, there is, of course, an opposition between law and morals on the one hand, and sensibility on the other. Every law makes hard cases, and the popular feeling is always on the side of sensibility, against both law and morals. For example, the law is that certain acts are murders, and that murderers shall be hung. Some years since, a woman who had been seduced and brutally insulted afterwards by a soldier, shot him dead in the most deliberate manner. For this she was sentenced to be hung. The public voice demanded and obtained her pardon. "We were not thinking," people felt, "of such a case as that when we laid down the rule." It is, indeed, no easy and common thing to recognize the claims of law or of morals as such. Here and there a person of peculiar temperament gives them by nature the preference over sensibility, but, as a general rule, it requires practice and study to do so. The mass of mankind always yield unwillingly to general rules when they are opposed to their feelings, and submit to their authority only from a conviction that their feelings are apt to be capricious and unsteady, and that it would be unsafe to trust them too far. It is this last reflection which "explains to a great extent the contradiction noticed at the beginning of this essay. If mere feeling can be invested with a certain steady, consistent, business-like aspect, so as to give it something of the air of law and morals, people will trust it in preference to them; and this is precisely what is done by that state of feeling which calls into existence such bodies as the charitable and religious societies which exist amongst us, or the Social Science Association. It does not occur to ordinary people that men so staid and grave—men who use such solemn language and assume such a majestic attitude — presidents of sections and subcommittees, and authors of papers full of statistics, and certainly not open to the imputation of levity— should be on the side of feeling against law and morals. They look far graver and more dull than Westminster Hall or the Court of Chancery itself. It cannot be that they are likely to think lightly of rights and duties. Strange, however, as it may appear, the fact is so. Such associations give to sensibility the advantage of gravity and weight, which it never had before, and justify its dictates in opposition to existing systems of law and morals. These gentlemen in their solemn way love mankind, and are thoroughly determined that men shall be happy in their way and in no other; nor does anything hamper them more than the common notions of individual rights. That men have a right, as they put it, to be dirty or ignorant—or, as it might be put, to prevent others from cleaning or teaching them against their will—is, in their eyes, nothing more than a relic of barbarism. They are willing to adopt any means that may be required to prevent such a state of things. They had far rather beat a boy into a jelly than allow him to be ignorant if he was obstinately determined on being so. That such a little wretch could have any rights at all appears hardly to enter into their minds. Indeed, they scarcely ever admit the rights of people of whom they disapprove. The parental rights of a careless parent, the conjugal rights of a bad husband, the proprietary rights of an unphilanthropic landlord, the political rights of an ignorant man—all these offend and disgust them, and, if they had their way, would not be worth a year's purchase. In course of time they would evolve a system of law and morals of their own, and mankind would then have an opportunity of testing the humanity of their tender mercies. As sensibility is the motive power without which law and morals would be dry and dead, so law and morals are the great regulators of sensibility; and there never was, in any age of the world, a more urgent necessity than exists at present for the constant recognition of justice in human affairs, and for the prosecution of those studies which enable people to recognize its beauty and necessity, and especially its power to regulate the dictates of a sensibility capable, if neglected, of becoming positively ferocious. Saturday Review, October 6, 1860.